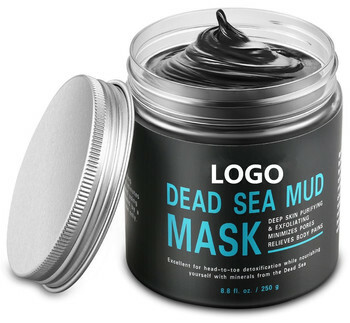 Dead Sea Mud Mask is a spa formula rich in vitamins and minerals. It helps rejuvenate and revitalize your skin by eliminating dead skin cells. It also deeply cleanses skin by removing facial impurities such as dirt, oil and toxins. MILD & DEEP SKIN CLEANSER: Formulated with activated charcoal which boasts strong absorption properties; gently removes oil, dirt and toxins; helps combat blackheads and shrink pores; purifies and detoxifies skin. NATURAL & MINERAL-RICH: Contains health-enhancing minerals including magnesium, calcium, potassium and bromine; rich in natural skin-boosting substances such as Dead Sea mud, aloe vera, shea butter and jojoba oil; contains no pigments, flavoring or polymeric thickeners. 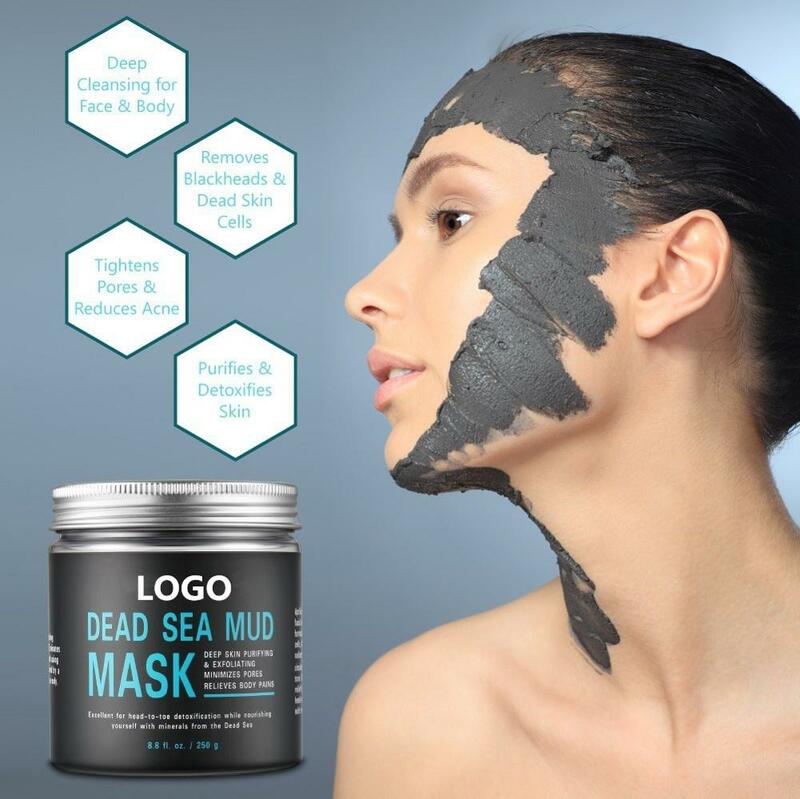 MAGIC DEAD SEA MUD: Helps alleviate joint aches and pains by stimulating blood flow and soothing nerves. VISIBLE REJUVENATION: Removes dead skin cells and blemishes; promotes circulation and helps restore skin’s elasticity and youthful glow. QUALITY FACIAL SPA: Resplendent with natural and pleasing scents; saves you money and gives you the pampering you deserve with spa quality treatment. 1. Removes blackheads, tightens pores and reduces acne. 2. Supplements skin nutrition and improves epidermal metabolism . 3. Enhances microcirculation of skin cells thus removing signs of aging. 4. Protects skin cells from damage over time. 1. Contributes to skincare benefits such as antioxidant protection and provides soothing relief . 2. Helps moisturize skin and maintain skin hydration. 1. Promotes regeneration of skin cells, leaving skin supple, soft and radiant . 2. Delivers deep moisturizing and anti-aging effects. Deeply penetrates skin and effectively clears clogged pores. 1. Spread mud gently with fingers on face or aching muscles and joints (avoid eye region). 2. After around 15 minutes, rinse with warm water and gently pat dry. 3. We recommend using the treatment once or twice a week followed by a moisturizer or body lotion. 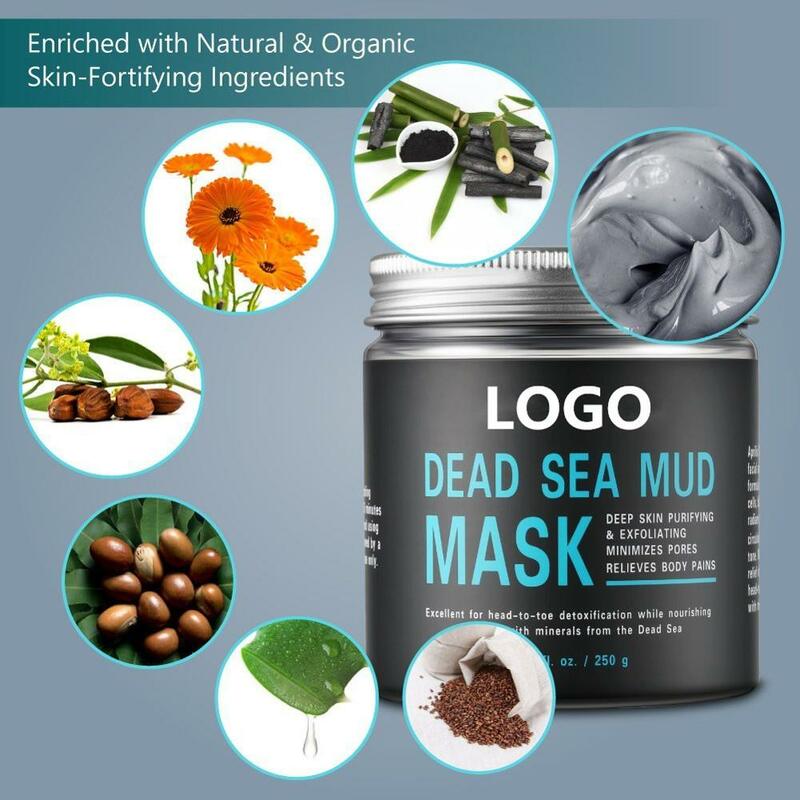 Deionized Water, Dead Sea Mud, Activated Charcoal Powder, Shea Butter, Sweet Almond Oil, Aloe Vera, Calendula Officinalis Extract, Vegetable Glycerin, Jojoba Oil, Chamomile, Grape Seed Extract, Dipotassium Glycyrrhizate, Phenoxyethanol, Caprylhydroxamic Acid. The carbon charcoal powders used in this product are very fine . They have deep-cleansing ability that may cause pricking of sensitive or damaged skin. Also, the natural mud from the Dead Sea contains high concentration minerals like sodium chloride, sulfates and carbonates. These ingredients have antiseptic and anti-phlogistic effects. This may also cause some individuals with allergies to feel their skin become hot or irritated when using for the first one or two times. Do not worry, however, as these sensations will naturally fade away after several minutes and when using in future will not be felt at all.